Below you will find Top Kendriya Vidyalayas in Mumbai 2018, List of Best Kendriya Vidyalaya Schools in Mumbai Region. Kendriya Vidyalaya, Mankhurd has been providing quality education under affiliation with Central Board of Secondary Education (CBSE), New Delhi. Kendriya Vidyalaya No 2, Colaba, Mumbai is a Co-ed English medium school managed by the Kendriya Vidyalaya Sangathan. Promoted in the year 1980 as a Defence sector vidyalaya sponsored by Indian Navy, Mumbai, Colaba, this institution, one among the 1076 Kendriya Vidyalayas in India and abroad, under the patronage and administration of Kendriya Vidyalaya Sangathan, New Delhi, an autonomous body of the Ministry of Human Resource and Development, Government of India. Kendriya Vidyalaya, Bhandup, Mumbai established on 1986 has carved a niche in the educational arena. Kendriya Vidyalaya, INS Hamla, Malad(West), was established in August 1972 as a Defence School. Kendriya Vidyalaya, Indian Institution of Technology (KV IIT), Mumbai has been one of its major wings since 1964 and has carved a niche for itself with its excellent result in the board examinations. 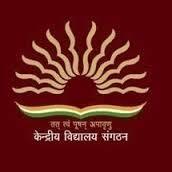 Kendriya Vidyalaya, Koliwada is a Co-ed English medium school managed by the Kendriya Vidyalaya Sangathan.